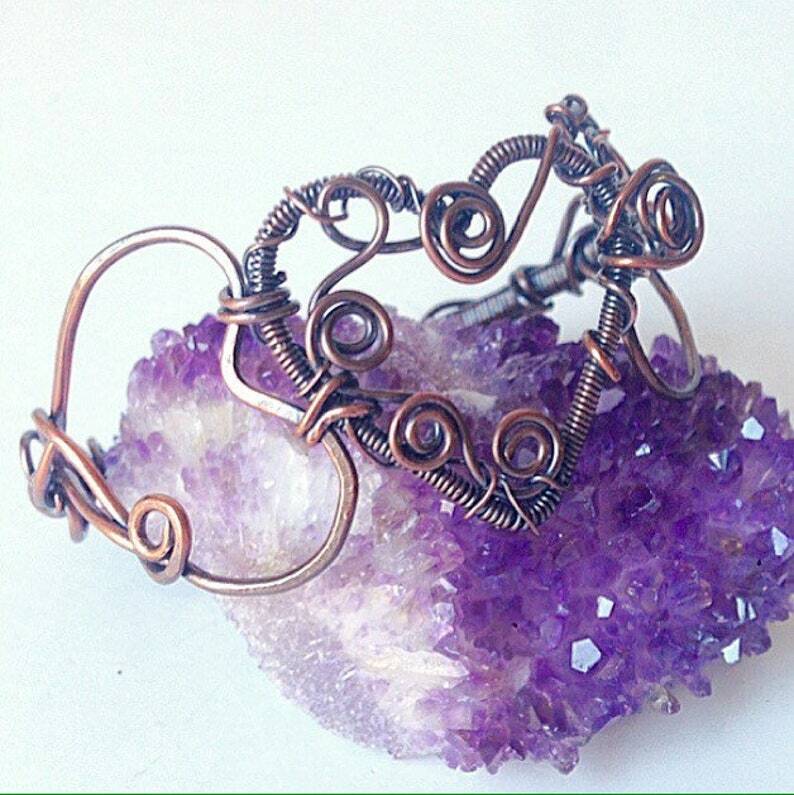 A whimsical wire bracelet of three hand formed, freestyle, hearts with a hinged clasp. The warmth of bare copper, hammered, wire wrapped & formed, then antiqued & polished. Will fit up to a 7 inch wrist. A beautiful accessory that moves effortlessly between casual and formal!